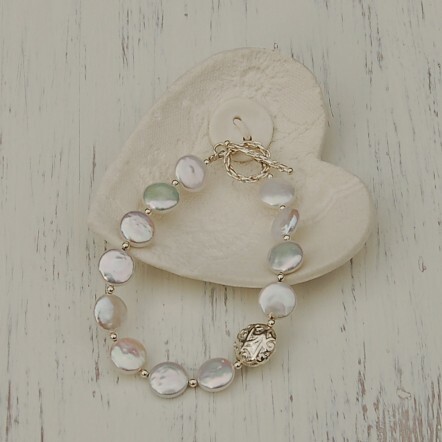 A beautiful handmade freshwater coin pearl bracelet, Luscious creamy/white hard to find quality pearls make this a standout piece to wear anytime, Anyday, Anywhere. 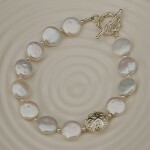 Grade AA quality white coin freshwater pearls with a wonderful iridescence that makes them shimmer and glow are separated by tiny sterling silver beads and an off centre sterling silver disc bead that has a wonderful dimpled texture.The bracelet is completed by a delicate sterling silver toggle clasp. 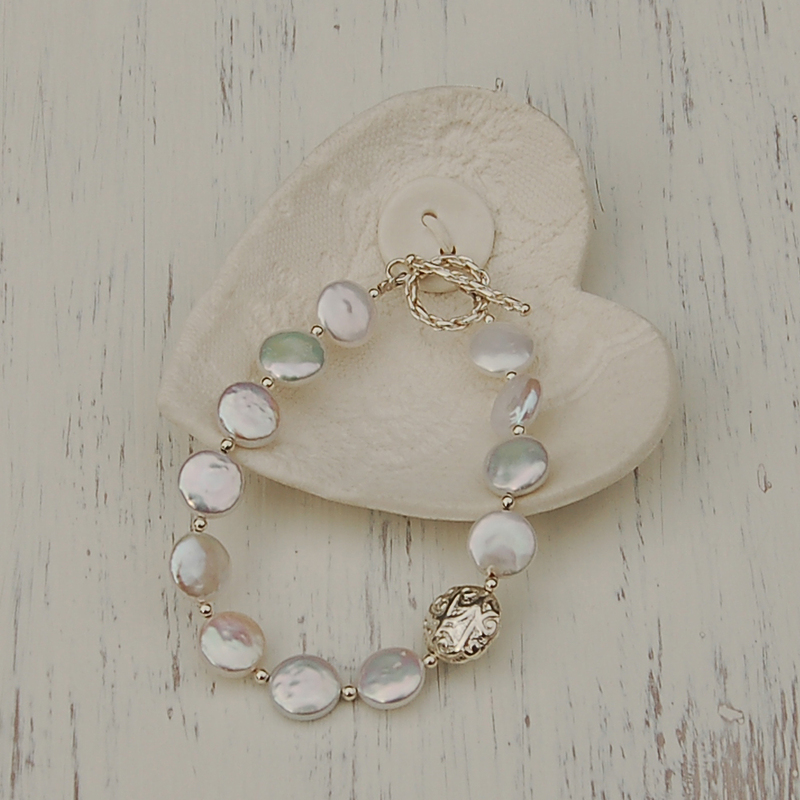 This is a fabulous ‘goes with anything and everything’ bracelet that looks as good on the beach as it does on the arm of a bride! 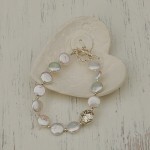 This bracelet will be handmade by IndiviJewels in the UK just for you. IndiviJewels designs and makes all it’s own unique jewellery so if you are looking for something a little different then please just contact us and we will see what we can do for you. This bracelet is made with AA graded freshwater coin pearls and all silver is sterling. The pearls measure approximately 13-14mm in diameter and the sterling silver bead is 15mm.